An alien bacterial life form may have just been found in Meteorite Cl1! We know that we not alone in the universe, but we are all waiting for the hard evidence that will prove it to everyone else. The first major “disclosure” may be this week’s announcement by a NASA scientist that evidence of primitive ‘alien life forms’ have been found in a recently dissected meteorite. Over 5,000 scientists will have a look at this new scientific evidence that is pointing to the existence of a giant bacterium (Titanospirillum) that once lived inside the rock that is now part of a rare class of meteorites, called the Cl carbonaceous chondrites. This astounding observation of new ‘alien life’ in our midst comes from a well-credentialed NASA astrobiologist, Dr. Richard B. Hoover (of the Marshall Space Flight Center), who published his findings in the March 2011 edition of the Journal of Cosmology. Dr. Hoover has studied scores of meteorites in Alaska, Siberia, and, most importantly, in Antarctica, where the Alan Hills meteorite rock was found in 1984 (ALH 84001). ALH84001 electrified scientists throughout the world in 1996 because of the strong possibility of a fossil record of life living inside the rock that seemed to have come here from Mars. The electrifying news of alien life, once again, in this new meteorite material may truly be the eye opening evidence that the world scientific community has been waiting for. 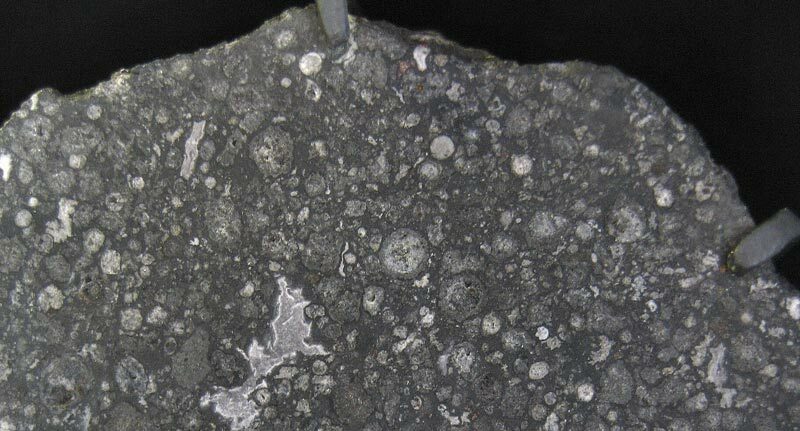 Although the ALH84001 meteorite was not accepted by most scientists, this new fossil evidence presented by Dr. Hoover is clearer and larger in size, and so more difficult to debunk. This new evidence on ‘other life’ in the high frontier of neighboring space can be matched with findings of abundant water on the moon and Mars, from the Mars Global Surveyor, Mars Odyssey, and other missions. We may have just approached a milestone in the scientific community, and Dr. Hoover may have provided us with a true synoptic snapshot of life developing on the inner planets of our solar system. Moving from extra-solar planets to extra-solar bacteria is a big step but, hopefully, we are entering the next chapter through this fossilized evidence of primitive life that we have spoken of many times since the 1980s on TV in South Africa (SABC) and Mexico (Televisa) and numerous radio programs heard throughout the world. It has taken a long time for many on Earth to accept the fact that other life exists in the universe – however, many of us are in anticipation of validating what we already know, beginning with the significance of fossil evidence in this and the Alan Hills meteorite. For those interested in Egyptology, Zahi Hawass announced that he will step down from his position as secretary-general of the Supreme Council of Antiquities of Egypt.